Global action is great, but don’t forget about local! On the 4th of November 2016, the Paris Agreement entered into force. It called into memory the emotional scenes of Laurent Fabius, holding hands with fellow diplomats whilst being applauded by an audience of exuberant political representatives from across the globe. The sense of hope was palpable, and many people felt that now, finally, things were going to change. The Paris Agreement, famed though it is, is by no means the only piece of global climate legislation in place. In fact, a study by the Grantham Institute on Climate Change and Environment revealed a 20-fold increase in global climate change laws since 1997. This is an indication of a shift in mind-set among the upper echelons of the political establishment. Yet what is actually happening at the local level? On the ground, where river-banks are bursting, sea-level rise is causing coastal erosion, and houses are being swept away by landslides? While it is the role of national and supranational political bodies to pass legislation, the actual implementation of legislation remains distinctly local. How can the capacity of local governments to implement climate change legislation be evaluated in the first place? In an attempt at addressing precisely this issue, a group of researchers from the Climate Service Center Germany (GERICS) developed the Capital Approach Framework. With its conceptual roots in a number of different sustainability approaches, the methodology was developed to assess the ability of communities and governments to respond to natural hazards. In the Capital Approach Framework, various indicators are generated and categorised under a range of factors, with each factor pertaining to one of either social, political, human, financial, or environmental capital. Qualitatively assessing each indicator means every overall capital can also be evaluated. Assessing the capacity of local government to implement climate change adaptation was also a core aim of the Western Indian Ocean Marina Science Association (WIOMSA) and Marine and Coastal Science for Management (MASMA) project entitled “Emerging knowledge for local adaptation” carried out in Mauritius during August 2017, and thus the Capital Approach Framework was selected as the assessment method. Mauritius is a Small Island Developing State situated in the Western Indian Ocean. It is highly vulnerable to the impacts of climate change, in particular sea-level rise and the increase in frequency and intensity of tropical storms, leading to wide-spread flooding. A rise in coastal impacts, such as erosion, declining reef quality and landslides have also been observed, putting the nation’s economy and well-being at risk. In close collaboration with the Council for Scientific and Industrial Research (CSIR) from South Africa, the Nova University of Lisbon (NOVA), the German Institute of Climate Service (GERICS), and the Mauritius Oceanography Institute (MOI), the Capital Approach Framework was adjusted to the local context and carried out during the four-week research visit. Representatives from a total of seven District Councils, seven Village Councils, and four Non-Governmental Organizations were consulted for the study. Each participant was asked to respond to the indicators generated for assessing each factor, in turn to evaluate each capital. For example, participants were asked whether they were aware of any climate change adaptation plans or strategies at local government level. This indicator would then feed into the “Regulatory Framework” factor, in turn making up Political Capital. Another example would be whether local government members have the possibility of taking part in capacity building exercises, feeding into the “Human Resources” factor, in turn making up Human Capital. In total, 70 indicators were generated for the Mauritius case-study, evenly spread out across 20 factors and 5 capitals. Initial findings indicate that, concerning Financial Capital, local governments feel they do not receive adequate financial support from national government. Though many participants are aware of the possibility to apply for external funding, applications submitted are very rarely granted. With respect to Social Capital, local governments do not collaborate enough, neither with each other, nor with national government or external institutions. Stakeholders on the other hand, such as those from the private sector or community members, are integrated into the decision-making process well, and have the opportunity voice their opinions or concerns at regular local meetings. Data gathered for Political Capital show that climate change is not considered significantly enough in the regulatory framework. Local governments also lack an internal structure to specifically deal with climate change issues. Concerning Human Capital, respondents emphasised the lack of staff, compounded by the rate of turnover resulting in a loss of vital expertise. The need for capacity building and technical know-how to be able to adequately assess and implement climate change adaptation options was also discussed. Finally, and most importantly according to several respondents, the key findings for Environmental Capital were that though environmental legislation to protect ecosystem services is in place, the lack of staff and resources means there is no way of effectively monitoring infrastructure developments to make sure environmental regulations are being adhered to. This often results in infrastructure developers not respecting setback lines and building too close to the coast. 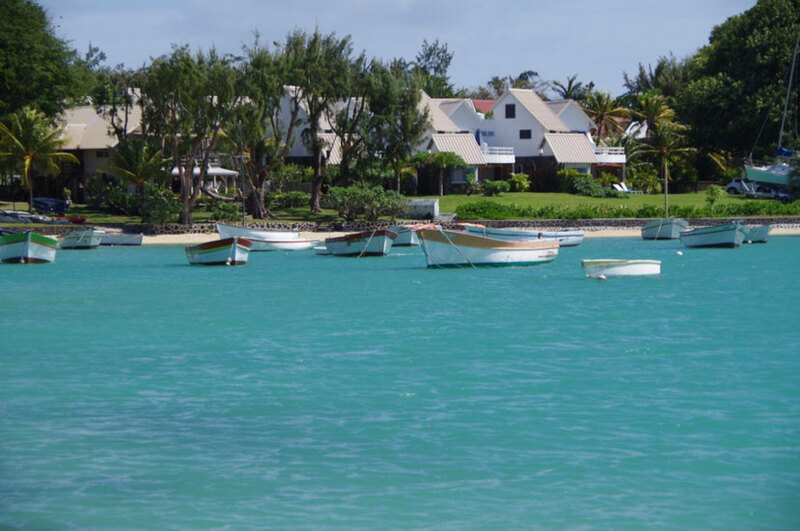 The results of the study will be presented to representatives from the National Government of Mauritius during a workshop at the beginning of 2018, highlighting the areas in need of improvement for enhancing their capacity to implement climate change adaptation. It is really important to continue and to increase research of this nature at the local level. What preconditions are necessary for the successful implementation of climate change? And which mechanisms might be developed to support local governments? These questions are essential, as it is at the local level where the battle against the impacts of climate change may be won or lost.